Steve King dismisses fears about in-housing and 'disintermediation'. The head of the world’s second-biggest media buyer says media agencies remain in a strong position because the barriers to entry have become "much higher". Steve King, global chief executive of Publicis Media, dismissed fears about advertisers taking programmatic buying in-house, saying that the number of such initiatives has dropped from a year ago. King told investors at parent company Publicis Groupe’s quarterly results last week that doom-mongers have wrongly predicted the decline of media agencies for a decade, ever since questions rose about them being "disintermediated" by tech giants. "Yet, surprisingly, we’ve seen that the media agencies continue to grow – not just us, I suspect our competitors [as well]," he said, citing his own experience as a founding member of Zenith, which has grown from 100 people in 1988 to 7,500 globally today. Even though the media agency sector has faced "challenges", King said he feels that "we are actually really well set up in media". One of the reasons that the global media agency networks have kept growing is "the barriers to entry are becoming much, much higher", meaning the sector is "much tougher to get into". As a result, the networks are coming up less against "small niche players", according to King. He said trading scale still matters to get the "best prices" for clients, but now "the necessity of scale is about leveraging data, technology and talent" as well. 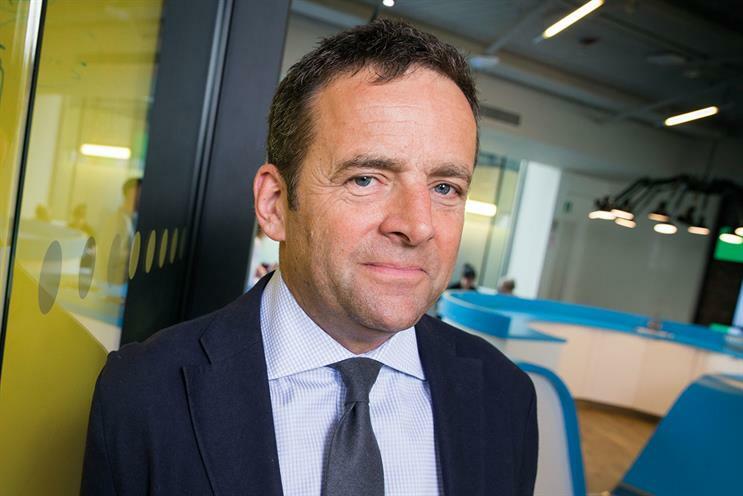 King, who oversees six agencies – Blue 449, Digitas, Performics, Spark Foundry, Starcom and Zenith – said fears about clients in-housing their media buying are overblown. "I can tell you that, compared to a year ago, we actually have a smaller proportion of clients in-housing," he said. "And one of the reasons for that is because it’s really tough to do. You need to have access to the best platforms, agnostic technology. You need to be able to hire experts." Managing digital media is "really, really specialised", he said, pointing out how difficult it is to keep up with data management platforms and demand-side platforms, and to carry out "vetting" to ensure brand safety and prevent fraud. Publicis Media has "something like 400 traders" involved in buying programmatic, with "huge technology" and "big training platforms". He said this increasing complexity means "the barriers to entry are growing" and claimed that unnamed "new competitors" – most likely Accenture Interactive, which has invested in a programmatic services division – have not yet made a "significant mark". King was bullish about the broader strategic role of media agencies. "As our business becomes more complex, clients are increasingly asking us not just to be their executional partner, which is how we originally engaged. "It’s [now] much more about how we could be their strategic partner, helping to grasp and analyse data. How can we execute at scale? How can we manage the inventory? And, of course, how can we inform creative decisions on a dynamic basis?" King added that he was "surprised" by the "huge amount" of media pitching activity in 2018 and it is "too early to predict" whether it will continue next year. "The trend has been moving away from price orientation to more the right strategic partner," he said, despite widespread suggestions that GlaxoSmithKline’s recent $1.7bn media pitch, won by Publicis Media, was highly price-driven. "I have a hypothesis that will actually mean that many of those clients are now going to work on a much more long-term basis with their agency partners as we build much more scaled data and analytics solutions with technology platforms. "I think those solutions that we’re building will give us more stickiness."